Pamper yourself with a relaxing mug of this delicious Earl Grey tea from London Tea Company. Just drop one of these pyramid bags in, pour boiling water and you’ll be treated to an incredible scent and taste. 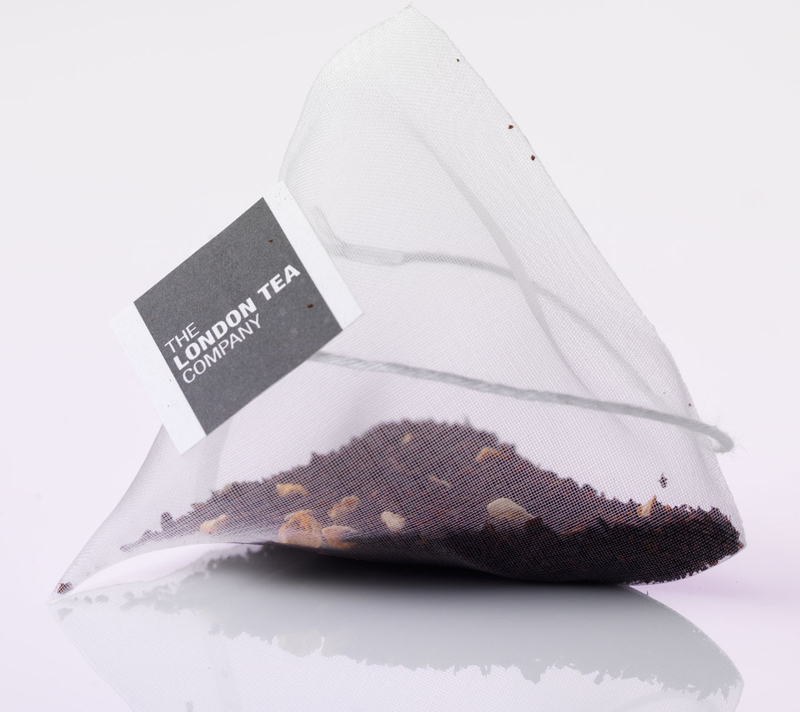 Pyramid bags provide more room for tea leaves and larger holes so that water can make better contact with the tea and help the bag release more essential oils and invigorating tea taste. 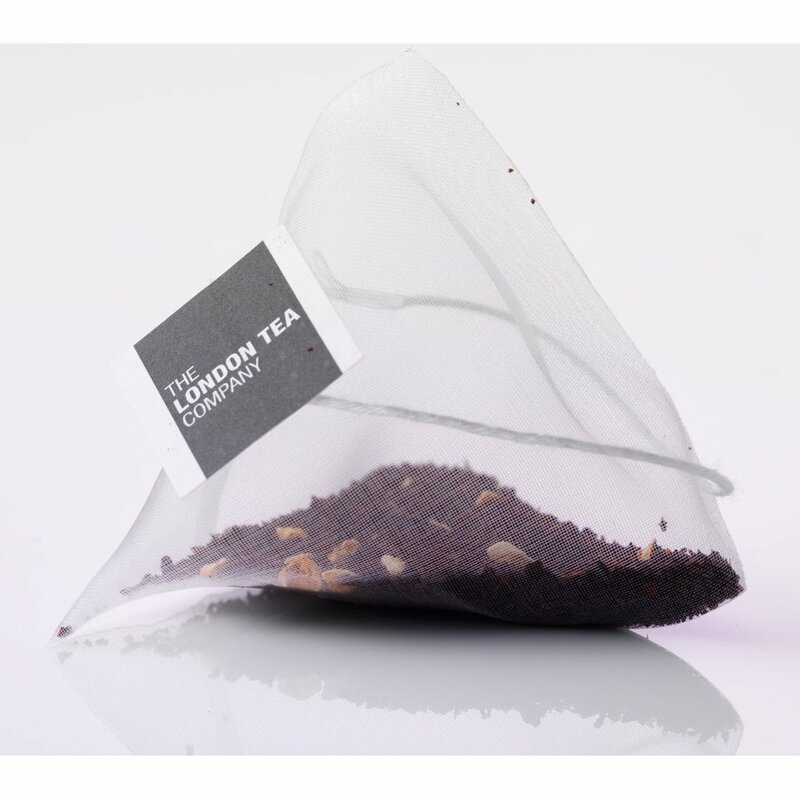 This bag not only has 100% FairTrade black tea leaves inside, but also orange and lemon peel for a citric twist and sweet natural bergamot flavouring. 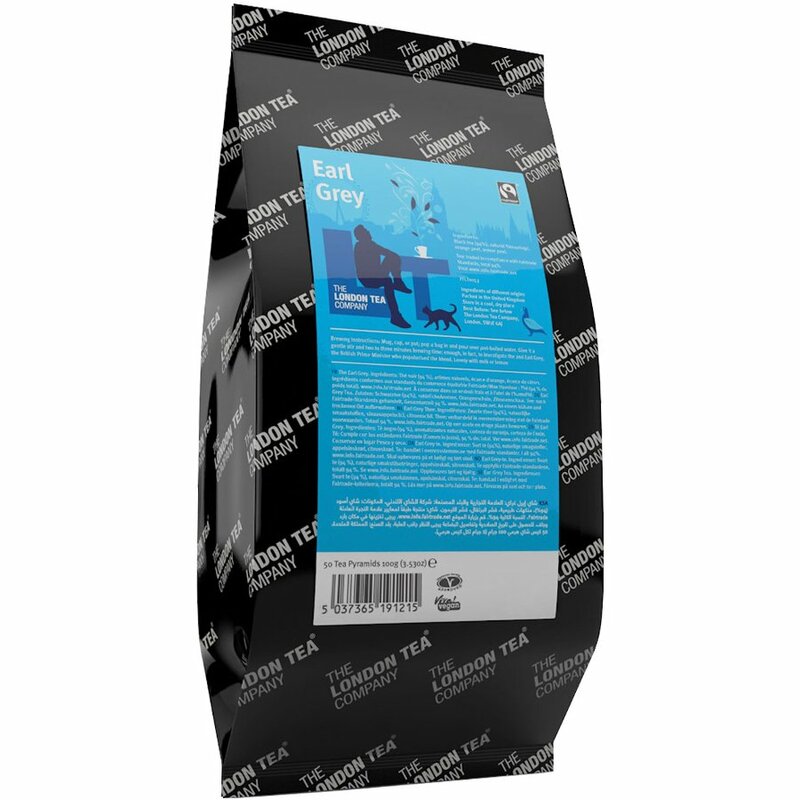 The London Tea Company Fairtrade Earl Grey Pyramid Tea - 50 bags product ethics are indicated below. To learn more about these product ethics and to see related products, follow the links below. 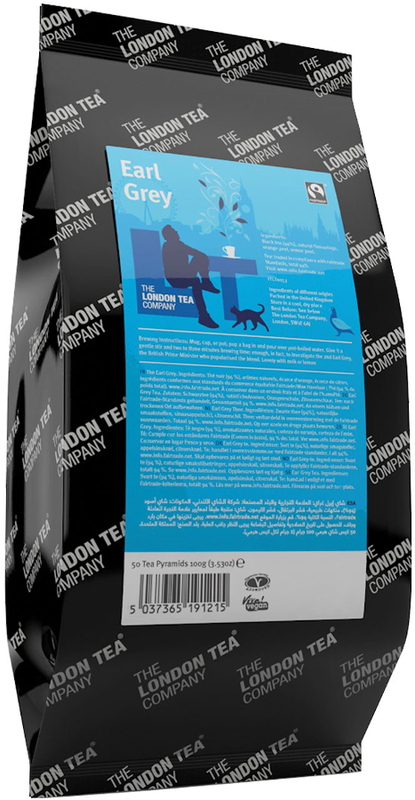 There are currently no questions to display about London Tea Company Fairtrade Earl Grey Pyramid Tea - 50 bags.